When Uyen Luu – cook, blogger and supper club founder – invites you for lunch, you go on an empty stomach. As we climb the stairs to her kitchen, the smell of herbs and bubbling broth grows stronger. “I wanted to give you an idea of what proper Vietnamese cooking is about. Luu describes herself as a “typical cook and feeder” – and when she tells you about the importance of food in her family, you understand why. Her cookbook, My Vietnamese Kitchen, is part autobiography. 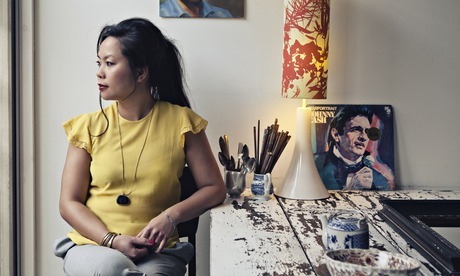 Luu grew up in Hackney after arriving with her mother and younger brother from Saigon in 1983 as refugees from the Communist regime. “People were starving because of the trade embargo,” she says. Up to 1.5 million tried to escape but many, if caught, were sent to “re-education camps”. After studying film and fine art at Central St Martins, Luu started her own small fashion company, juggling designing clothes with running a shop in central London. In 2009, she was forced to close as it proved too stressful. “The overheads were too high and I’d got myself into debt,” she explains, while dropping freshly made vegetable spring rolls into hot oil.